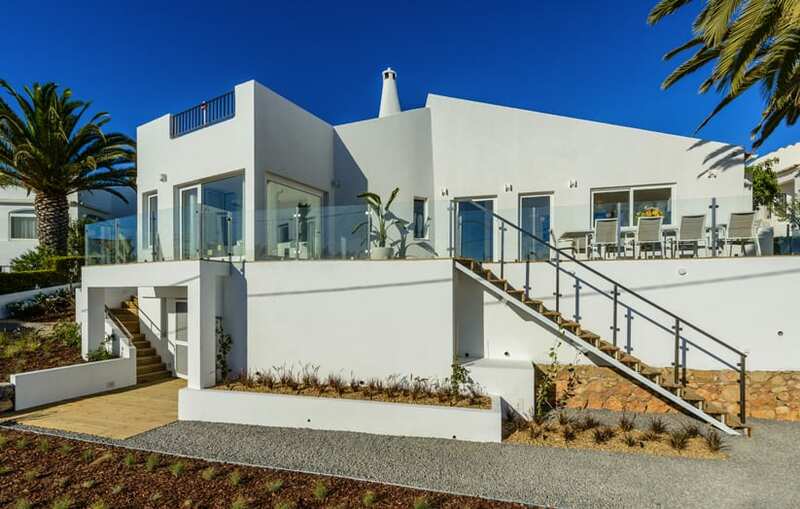 Driving along the coastal road from Carvoeiro to Ferragudo, you could easily drive past the beautiful Casa Xyza, perched on the right side of the road, just before the entrance to Praia Grande beach. 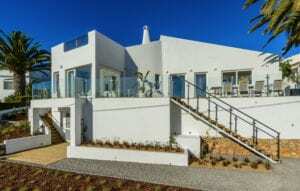 Architecturally, the façade is hugely sympathetic to the neighbouring properties and seaside location, and from the street view, you wouldn’t really imagine what is contained within. Casa Xyza’s atmosphere exudes calmness, and the layout lends itself well to social living while offering privacy within each of the spacious five en-suite bedrooms. 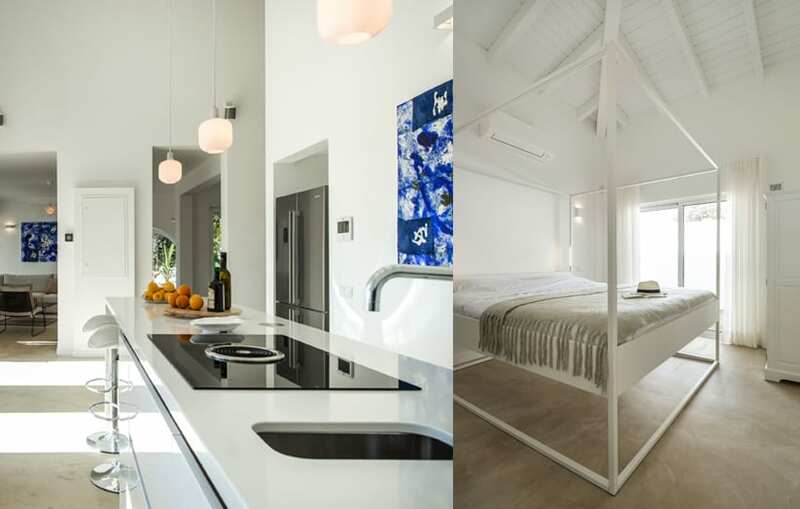 The rehabilitation of the original villa was finished in September 2017, under the watchful eye of the conceptual design team of Studio Arte, in Portimão, who have incorporated their signature style with lots of flowing, natural light and use of local materials. The interior design has been a labour of love for the Dutch owners and Georgia de Vlieger, of Georgia Interior Design, with all items throughout the villa having been handpicked to create perfect harmony between the modern, new image of the building and the surrounding, natural elements. 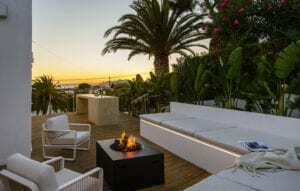 This autumn, Casa Xyza hosted its first Wellness Retreat from November 5-9. The event combined many forms of relaxation and wellness activities while guests soaked up the ambience and enjoyed the tranquil connection with the surrounding nature and soothing sensation of being by the sea. The array of activities had something for all tastes, ranging from Yoga classes to aromatherapy massages, deep meditation with Tibetan bowls or long walks on the beach, which is only a couple of minutes from the house. For accommodation during the retreat, there are various options within the en-suite rooms, double rooms with two single beds (€800) and double rooms with a double bed are €1,000 for solo occupancy or €700 for double occupancy. Guests can opt for a return airport transfer for an additional €100. Throughout the year, you can rent Casa Xyza independently and enjoy this contemporary, seaside villa with friends or family, as it is a child-friendly space that lends itself well to groups.